Poverty is a major problem that has consistently impacted human development. The spatial characteristics of poverty are nonvolatile at the regional level and represent the primary factors underlying the spatial poverty trap. Previous research on spatial poverty has frequently attempted to theoretically demonstrate the relationship between the spatial distribution of socioeconomic factors and regional poverty by drawing poverty maps, whereas less attention has focused on geographic factors. The case of Miao–Dong Autonomous Prefecture of Qiandongnan in Guizhou Province, China, is examined herein. This paper proposes a theoretical framework for the mechanisms linking the geographical environment and regional poverty and then conducts a quantitative analysis of the spatial association and degree of influence of these mechanisms. A geographically weighted regression (GWR) is employed to analyse the explanatory ability of variables in local areas. The results show that the mean slope and road network density have the most statistically significant correlations with the town-level poverty headcount ratios in Qiandongnan. Specifically, mountainous regions with steeper slopes suffer from a higher poverty headcount ratio, and towns with higher road network densities have a lower poverty headcount ratio because of the convenience of transportation. Additionally, the GWR indicates the occurrence of spatial nonstationarity, which indicates that the nature and strength of the association between each geographic indicator and the poverty headcount ratio varies across the 201 towns, with a linear growth pattern observed from north to south. Moreover, the results of a correlation analysis demonstrate that land cover with different slope classifications is more related to the regional poverty headcount ratio than land cover without a slope classification. We expect that this paper will provide useful insights for incorporating geographical factors into the formulation of poverty reduction policies. This paper is supported by the National Key Research and Development Project of China (No. 2017YFB0503500). Abuka, C. A., Atingi-Ego, M., Opolot, J., & Okello, P. (2007). 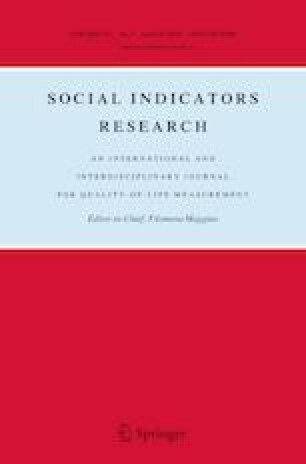 Determinants of Poverty Vulnerability in Uganda. IIIS Discussion Paper No. 203. Available at SSRN: https://ssrn.com/abstract=980635 or http://dx.doi.org/10.2139/ssrn.980635.